I accidentally posted this on my other blog. 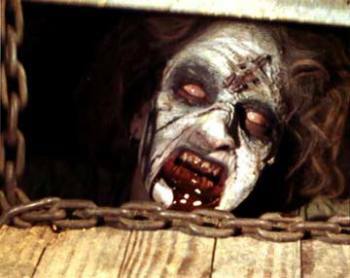 Evil Dead is one of the most beloved cult franchises in the history of horror. The series contains three films and a recent reboot/continuation, all at least partially handled by Sam Raimi. His masterpiece was also present for the emergence of Transmedia and benefitted from this new wave of technology. The Evil Dead crossed platforms into both video games and comic books also handled by Raimi. This was likely done to both expand the universe and “to draw viewers who are comfortable in a particular medium“ (Jenkins). Because of the very nature of horror, key lore is left out of the films to maintain a foreboding atmosphere. This negative capability inherent in the genre opens the door for numerous sequels and, of course, Transmedia franchises. 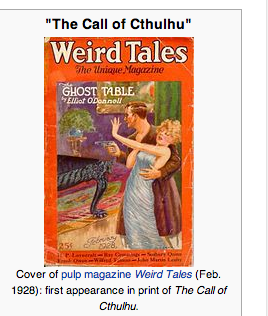 The article itself covers four aspects of the 1926 short story. 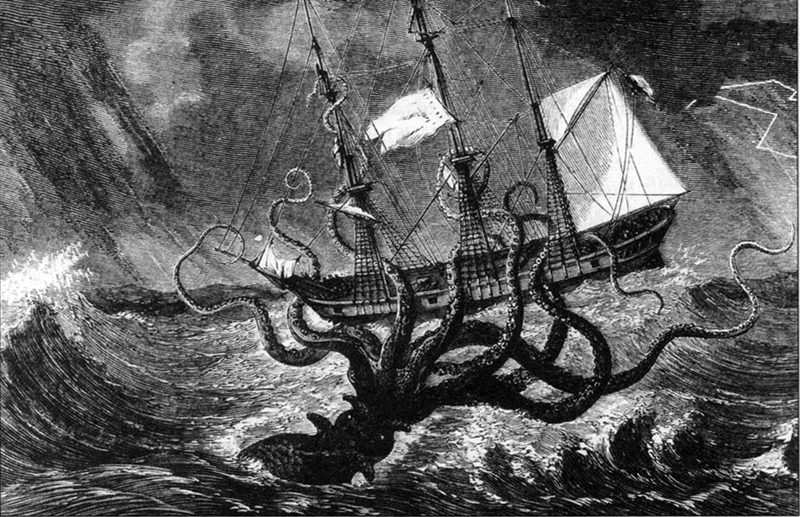 The first section has to do with Lovecraft’s inspiration, citing several other short stories with similar themes and symbols. This information is backed up by so-called Cthulhu Mythos “scholars,” a profession I didn’t know officially existed. Most of this, however, feels like speculation. What’s interesting about the layout, thought, is that they placed inspiration above the story summary. Most other story entries in Wiki place the plot summary directly below the introduction. 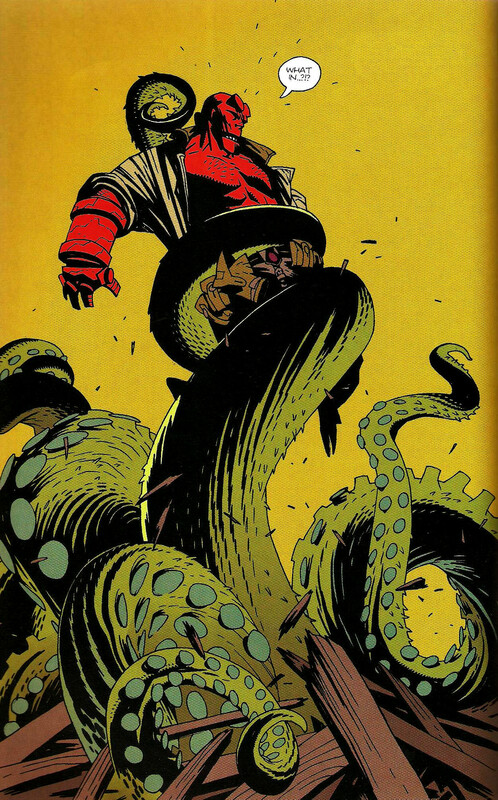 To the best that I can reason, the contributors did this because Call of Cthulhu has such a bizarre and esoteric plot that it requires an introduction through more recognizable tropes like the legendary Kraken. Once they get into the summary, their expertise on the subject shines through. The section describes the story in thorough and understandable detail, quoting the story itself at several points. Lovecraftian words like “Cyclopean” and “non-Euclidean” are linked off with definitions for the majority who don’t know what they mean. This section is probably the strongest of the page. 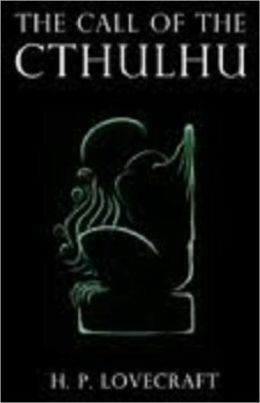 The next section is Call of Cthulhu’s literary significance and criticisms even though it covers the former much heavier than the latter. The first criticism is from Lovecraft himself calling his work average. The rest of the quotes adore his piece despite the fact that there are sources that consider Lovecraft’s writing cheap or problematic at best. The bias in this article, while helpful in the previous section, shows its shortcomings here. The page creators list adaptations at the end. The section is short, which is understandable considering the few actual adaptations. 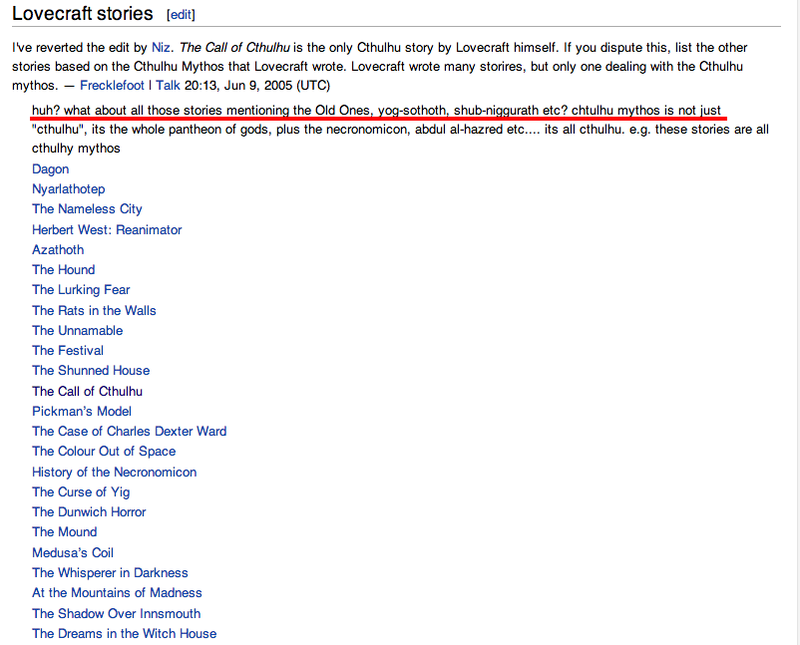 However, I think that this section should also include the Call of Cthulhu Roleplaying Game due to its title. 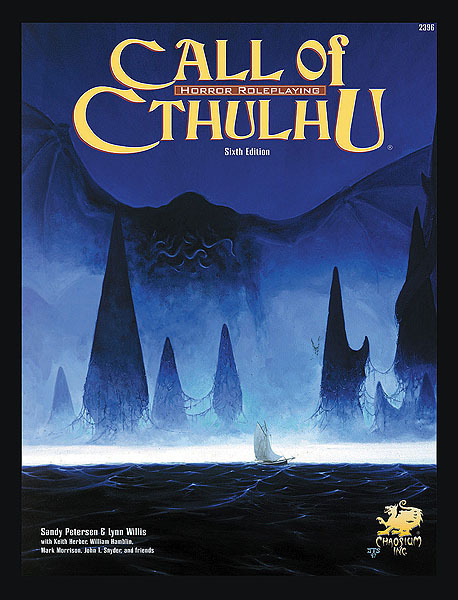 While the game has most elements from the short story, it also takes from the rest of its content from the Cthulhu Mythos overall. Maybe this article should also include a popular culture section that lists off media inspired by the short such as Hellboy and HR Giger. The main debate among several editors back in 2005 had to do with the overall Cthulhu Mythos and if this story actually “launched” the concept. Since then, about 40 other consistent editors have contributed to the page since 2003; the last change was in 2012. There are very few editors when compared to 40,000 page views each month. Overall, the article and the discussion are solid enough, if lacking in a few areas, and more disconnected from the overall Mythos content web than it should be. The page disputes seem to center around how to make this story understandable to an unfamiliar audience.